Today i will show you how to install JadClipse plugin in your Eclipse IDE. 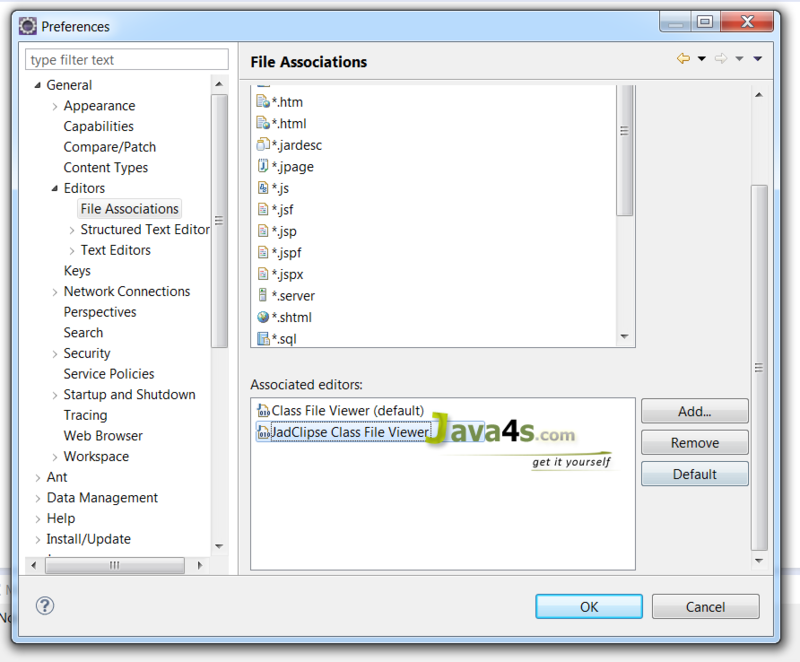 The main purpose of JadClipse is to decompile Java class files to source files in Eclipse. 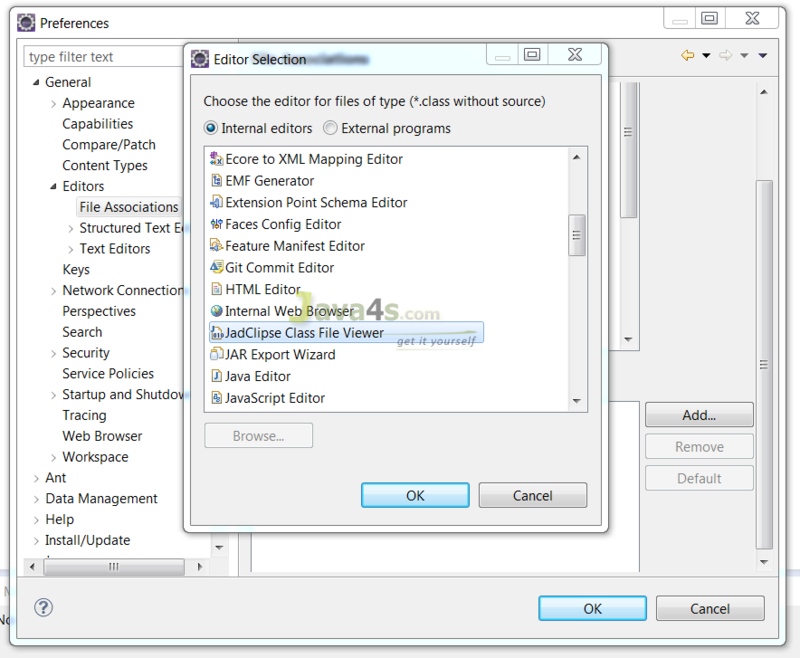 If you want to do so you must have JadClipse plugin installed and enabled in your eclipse. That’s it you did it. Q: JadClipse plugin is not working [ activated ] even after you started your eclipse ? You did it, now you will be able to view JadClips plugin is now activated in your eclipse. If you still getting any errors just let me know, i can help you to fix them sooner. 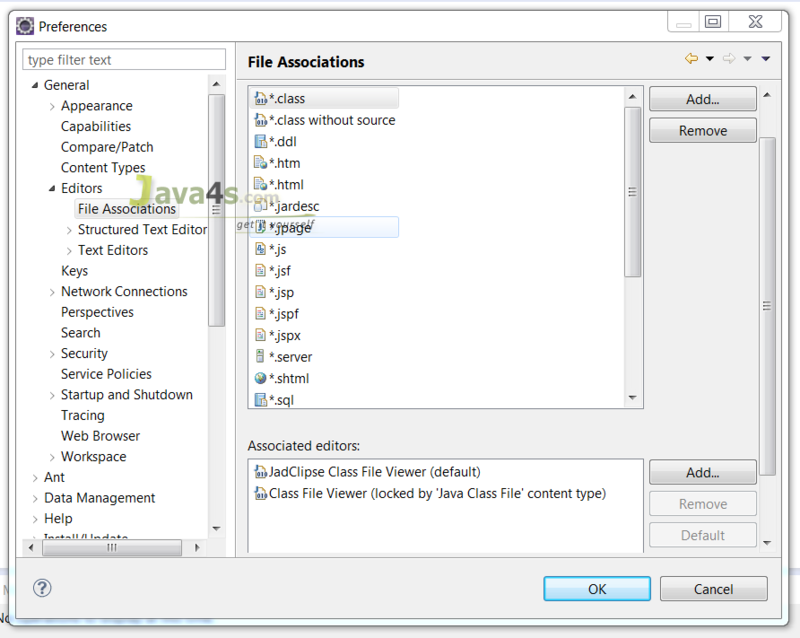 Author forgot to mention that in File association you have to select the “JadClipse Class viewer” and have to click the button — Default. Otherwise your settings will not be saved. If still not working, select ‘class without source‘ and select “JadClipse Class viewer” and have to click the button — Default. Thank you Rao. Even I had missed selecting ‘class without source’. When I run eclipse -clean, it says command not found? Am I in the wrong directory? is not working for neon.can any one known please reply me. Preference -> Java -> Decomplier -> De select Start up – Set Class Decomplier viewer as the default 'Java Class File' content type editor.